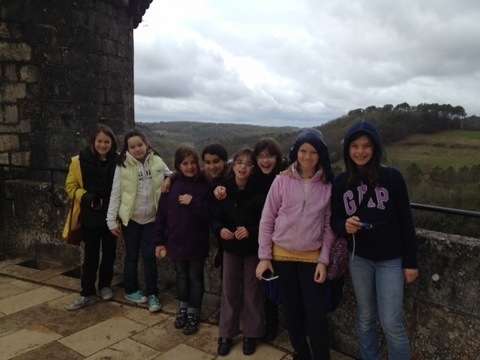 Today we had a wonderful day at the Château de Bonaguil in Fumel despite the gray weather. We met at the château at 10am. We were joined by our host families and a few other children from the 5th grade in Fumel and their parents. The Château de Bonaguil is a château fort from the Middle Ages designed for defense. After the revolution, there were basically only the exterior stone walls left, so what we see today is not a complete château. 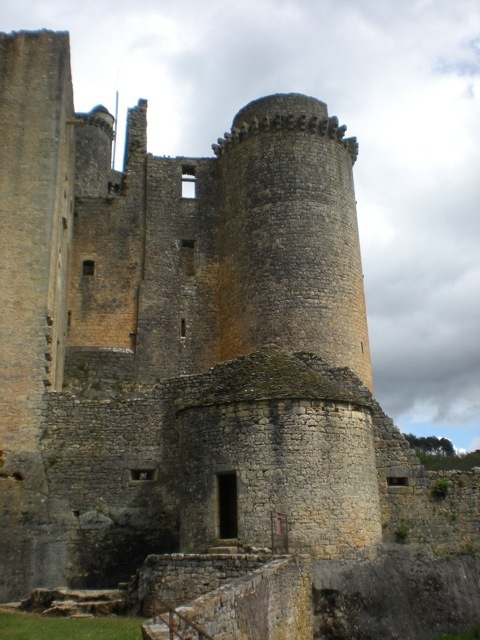 However, the château is slowly being restored, and there are several parts that are complete. We began the day with a treasure hunt. We split in to teams of 7 or 8 with at least 1 adult per team. While there were several teams of only girls or only boys, our students were mixed in with the students from Fumel. Our guide explained the rules. There were 5 clues hidden around the château for each team. In order to find each clue, we had to use our knowledge of the château (and the map) as well as our knowledge of the Middle Ages to solve the previous clue and lead us to the next one. The children were thrilled to take part in this treasure hunt. Each team ended with a treasure chest filled with chocolate coins for everyone (shaped like euros) and a yoyo from the château. 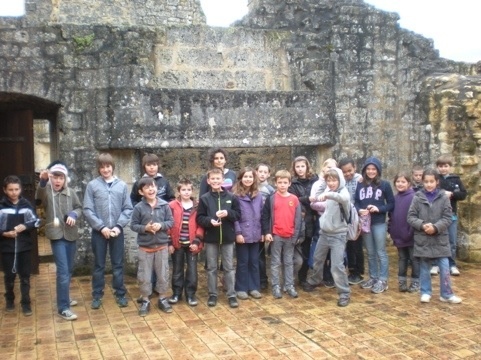 There was even a Château de Bonaguil pen for the adult in each group! By the time we had finished, it had begun to rain, so the Director of the château was nice enough to let us eat lunch in the gift shop in one of the towers. It is currently closed due to construction. We had another wonderful picnic with our host families. The rain only lasted as long as lunch, and then we were back outside. 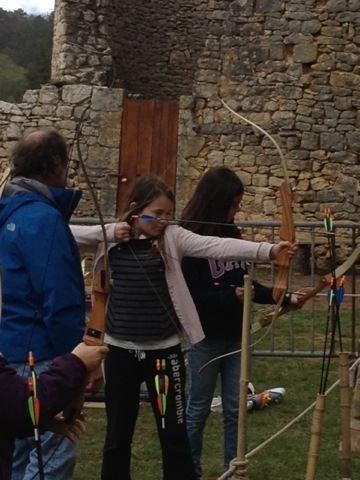 We split in two groups for Tir à l'arc or archery in English and the visit of the château. Each group got to do both before it started pouring. We all got pretty soaked and decided to leave earlier than planned. The host parents rushed the children home to dry them off. Tomorrow we will head to Lascaux and Sarlat. Hopefully the rain will hold off.